Known as the ‘city of the seven hills,’ Lisbon has a unique look and personality, making it one of Europe’s most attractive capitals. Our tours offer 7 nights stays in the lovely resorts of Cascais or Estoril, each located just half an hour away from the city. 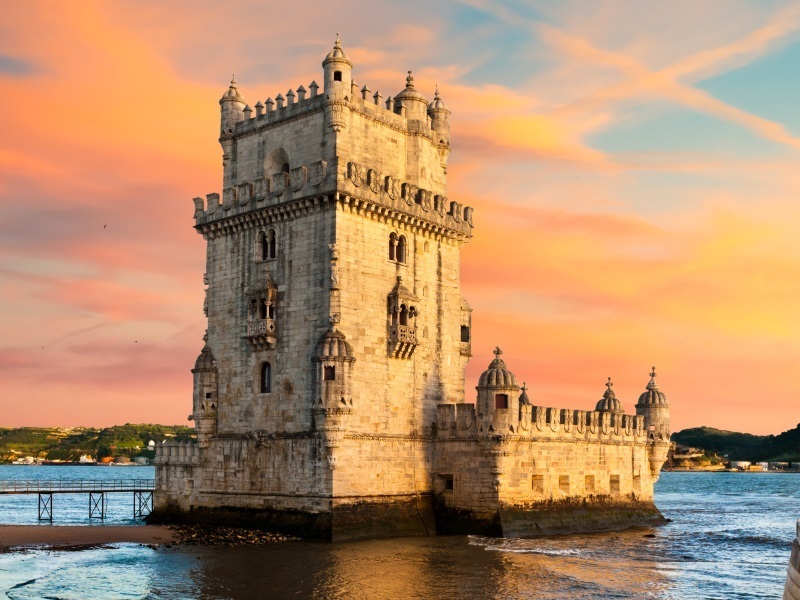 In Lisbon, learn about Portugal’s remarkable maritime history at the Belem Tower, which sits on the shores of the River Tejo. For spectacular views, take a ride in the famous Elevador de Santa Justa in the Baixa district, and have fun exploring the colourful backstreets of the Moorish influenced Alfama, almost a village in itself. Hotel Vila Gale Estoril has an ideal position, overlooking the beach of Tamariz and just 200 metres from Estoril’s famous Casino. With modern, comfortable rooms and abundant relaxing space, it is the perfect base for exploring this beautiful coast, as well as discovering Lisbon and beyond. This hotel enjoys a very favourable location, overlooking the sea and beside Cascais Marina. There are superb views from its pool and terraces and the comfortable rooms ensure a restful stay. Within a short walk, you’ll find the original fishing village of Cascais, full of atmosphere and with a great choice of shops and cafes.